There are normal video cameras that all-action folks wear in order to record their adventures for posterity so that they need not explain with words all over again to a new group of friends each time, but rather, let the video recording itself do the talking. Then again, there is another class of video cameras altogether that feature a rugged exterior that is capable of handling a fair amount of abuse without batting an eyelid. 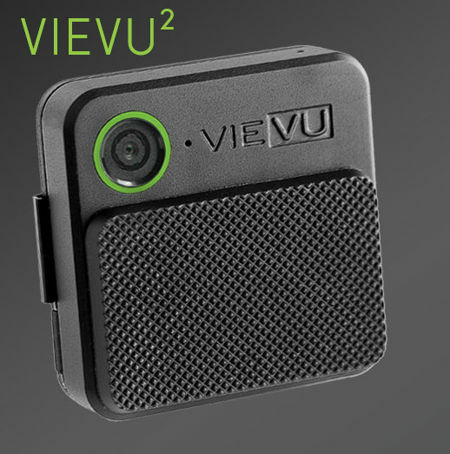 The VIEVU² is one particular wearable video camera that falls under the latter category, where it is touted to be the first ruggedized, body worn video (BWV) camera that will target the “prosumers”/professional workforce, using the very same military-grade technology that law enforcement/government agencies utilize. The VIEVU² will target professionals including private security, contractors, insurance adjusters, facilities maintenance, fleet management, inspectors and technicians, among others, as it captures video that is ideal for protection against erroneous accountability/liability claims, property protection, as well as mitigating workplace theft; C-level, other executives including Human Resource reps are able to rely on the VIEVU² to document meetings and other important employee interactions. Since the VIEVU² is milled from a solid block of aluminum, that kind of physical make up enables it to withstand the bumps/bruises of your daily grind, not to mention its ability to be worn on a belt, lapel, pocket, or other places that bulkier cameras will not fit in at all. Weekend warriors, too, will find the VIEVU² to be the ideal companion as it works great for hiking, biking, skiing and other kinds of fun physical activity. When paired with an iPhone or Android mobile app, it will be able to perform view-finding, framing and editing, and is easy uploadable to YouTube, Twitter, Facebook, Dropbox, email, or text accounts. The VIEVU² will do all of its recording in HD video (1080p) with 90 minutes of recording time, and will also connect to 802.11g/n Wi-Fi networks.